How does your company take advantage of the opportunity? Our experts have made it easier for our audiences to shop, and broken down our fall winter catalog with you in mind. Gift shops are a great space to engage your visitors. Be it a school, theme park, or small-town store, gift stores give tourists or guests the shopping inspiration they need to take back a piece of their experience back home. If your business relies on this experience, the holidays season is just the time for you to see your efforts bloom. 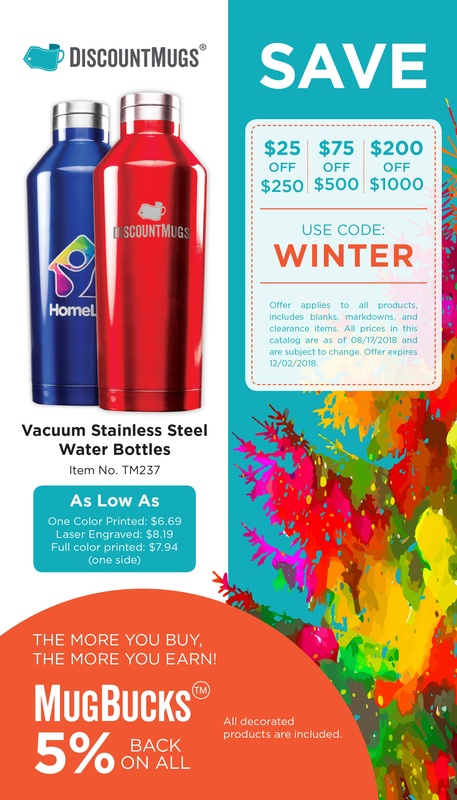 Ceramic mugs and water bottles are some of the favorites for gift shop, but the colder months bring the opportunity to add more season items like gloves and beanie hats. The strategies to promote your restaurant or hotel are as varied as the audience you want to attract. A zest to attract new guests and retain already existing ones can distract you from what’s most important – ensuring the have a memorable experience. 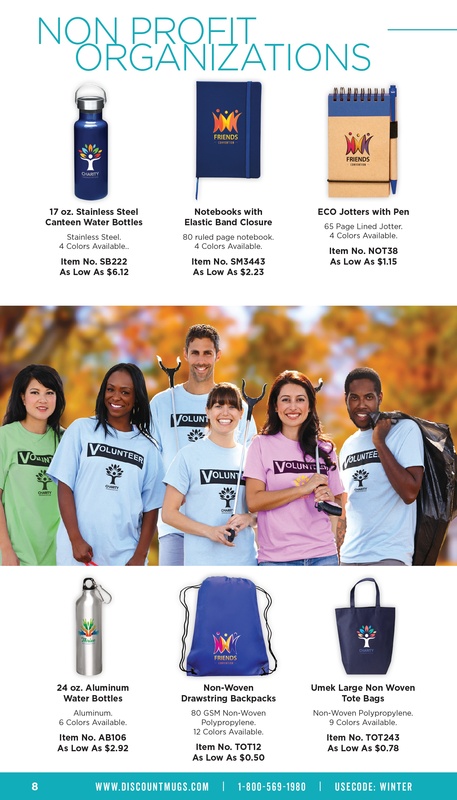 A great way to make your brand stand out and get more exposure is by purchasing promotional items customized with your business name and logo. Not only will they associate your brand with the adventures during their stay, but you can make them available for sales, or extend as a gift, so they can take back home and continue to remember when they share their stories with loved ones and friends. Not to mention social media – one or two guests will be known for snapping a picture of your drinkware and pin to the top of their wall. preference. This time a year, shoppers will turn inwards and be more in tune with their emotions and decide to be selfless instead. It’s important for non profit organization to maintain a good relation with donors since they represent a main source for their funding. Custom gifts personalized with your organization logo and motto will mean a lot to those you extend them to, and get more eyes on your mission when they tell their stories to those close to their hearts. The end of the year is also a great time to let your employees know how much you admire their hard work and dedication. Across industries, tradespeople will wear uniforms that signal they’re part of a team and providing them with work wear that protects them from inclement weather in the colder months is a great way to show you care. 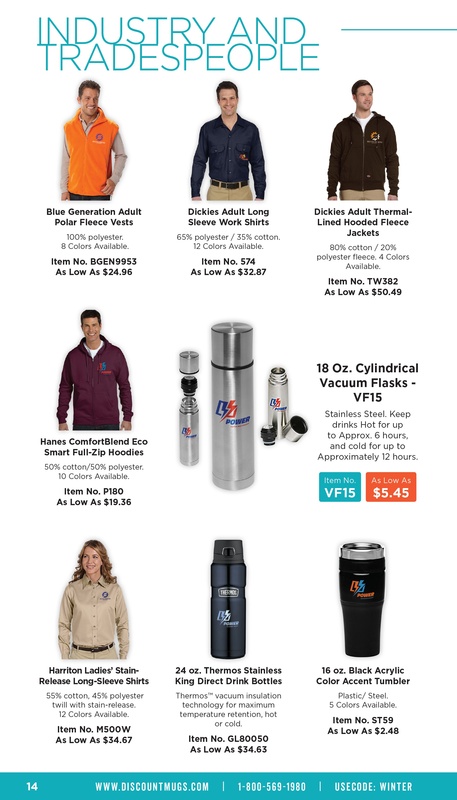 Long sleeve shirts, sweatshirts, vests, and thermoses and travel mugs are some favorites our customers have enjoyed in years past. Whatever your sector, our fall – winter favorites will make your employees feel like Santa’s just made it into town. Thanksgiving is not only the first of the holiday celebrations, unless you count Halloween, but also a time that brings friends, family, and everyone else together. 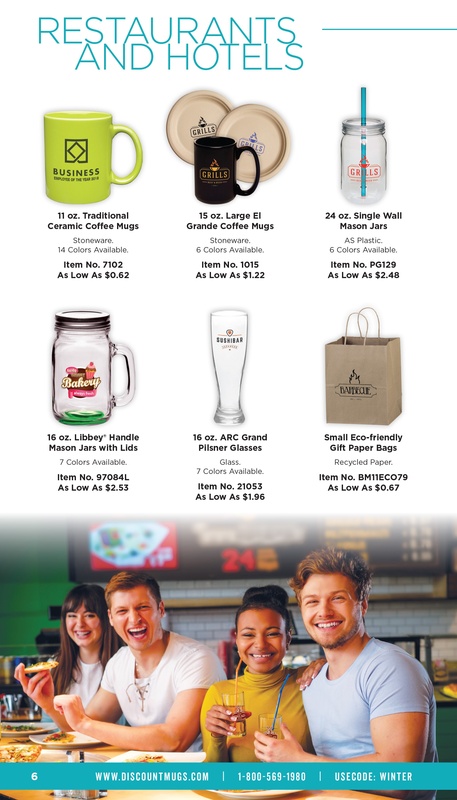 Many will be flying back home for the first time in months to see their loved ones, and a great way to bring everyone together is with personalized gifts the entire family can enjoy. 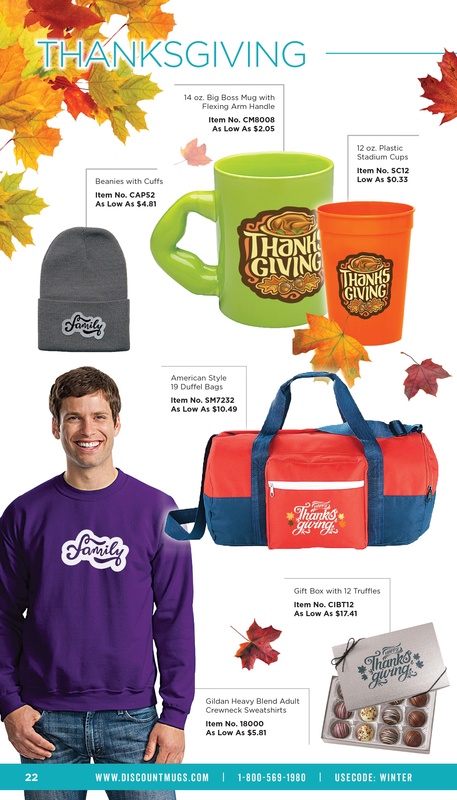 Custom plastic cups, personalized chocolate, and matching sweatshirts are a favorite among our customers. Don’t forget to order personalized duffle bags so they can take all of their goodies back to their final destination. During a time that highlights the warmth and love for one another, Thanksgiving gifts will bring everyone together in appreciation for the overflow of care and appreciation. With winter comes the holiday season, and our gifting essentials will please even the pickiest people on your list. 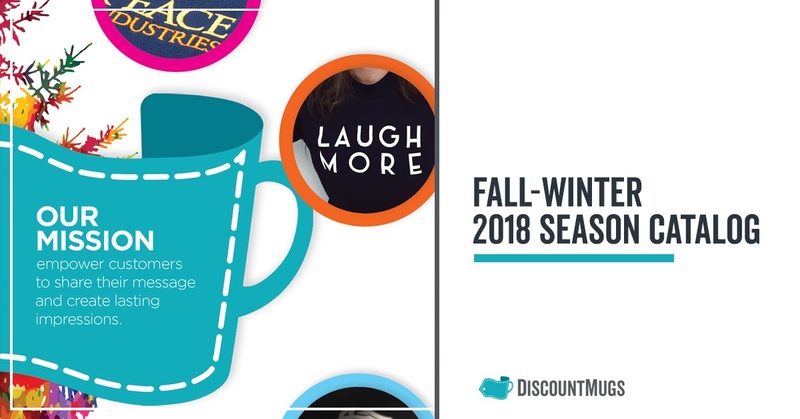 Our fall winter catalog will bring forth ideas your colleagues and employees will enjoy and give you a bump in one of the most competitive times of the year. A lucrative time when brands are all trying to stand out, gifting winter essentials to your audience will help you stay current and relevant. 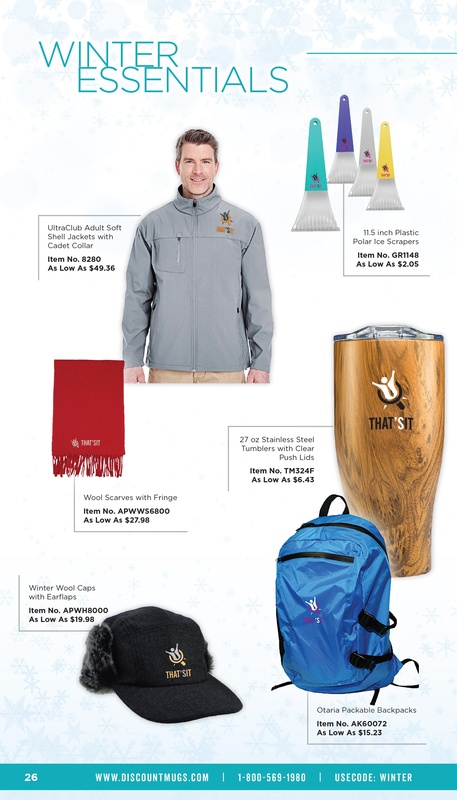 A solid marketing plan will include items like jackets, ice scrapers, scarves, snow hats and insulated travel mugs. 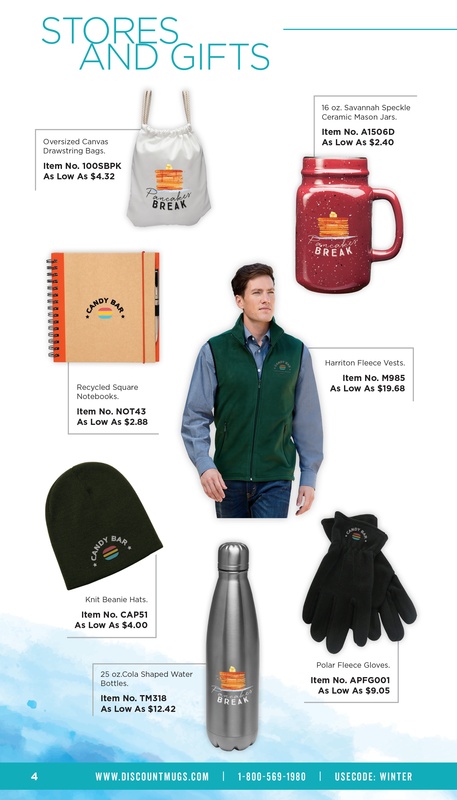 Not only will these items help your audience stay warm but bring attention to your business when you order personalized with your logo or message. Say hello to the most wonderful time of the year! If you’re trying to save some bucks this year, you’re not alone. We know brands and individuals are all trying to spend wisely, and our trick to avoid holiday debt is to start your shopping early. Don’t wait until the last minute to purchase your personalized gifts – start browsing our catalog today and take advantage of our deals. Consider it our gift to you this season. Our catalog is available for downloads straight to your computer or mobile device. View our most recent edition and share with your clients and colleagues on the go!